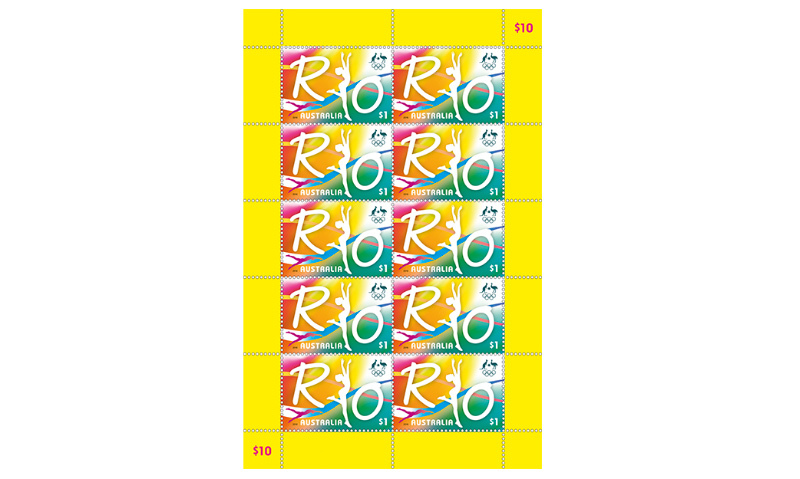 Between 5 and 21 August 2016, Rio de Janeiro, Brazil’s carnival city, will host the Games of the XXXI Olympiad. This will be the first time a South American city has played host to the Games in the 120-year history of the modern Olympic era. Rio, recognisable by unique landmarks such as Christ the Redeemer and Sugarloaf Mountain, is the second Latin American city to welcome Olympians to its sporting venues, Mexico City having hosted the Games in 1968. 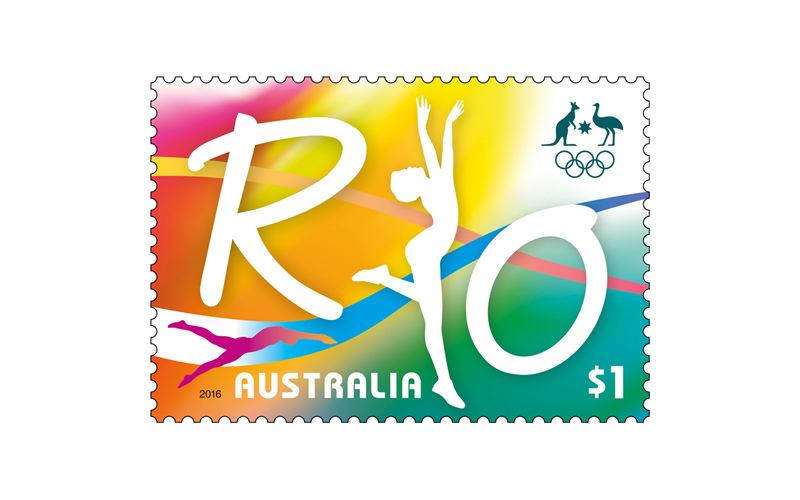 It is also the first time since the Sydney 2000 Games that Olympians will converge on a Southern Hemisphere host city. Cidade Maravilhosa – the marvellous city, as Rio is affectionately known – is famed for its rich, vibrant and spirited carnival. 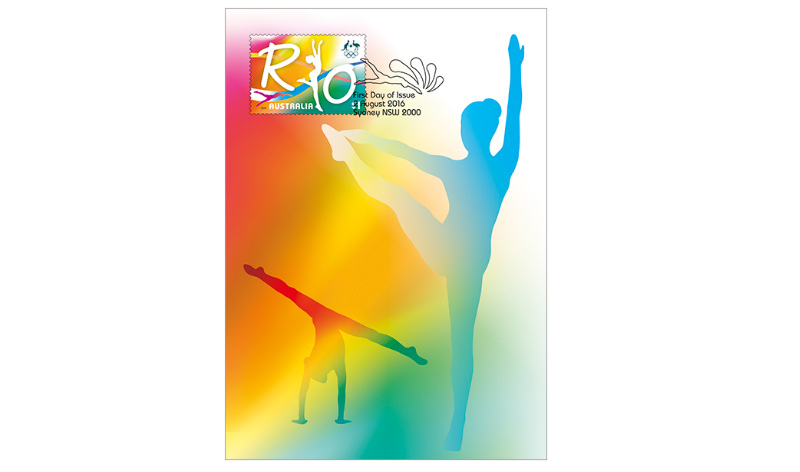 The Road to Rio stamp design taps into this sense of energy and place, translating the spirit of Cidade Maravilhosa to this international sport spectacular through vivid colour, rippling ribbons and athletic figures. 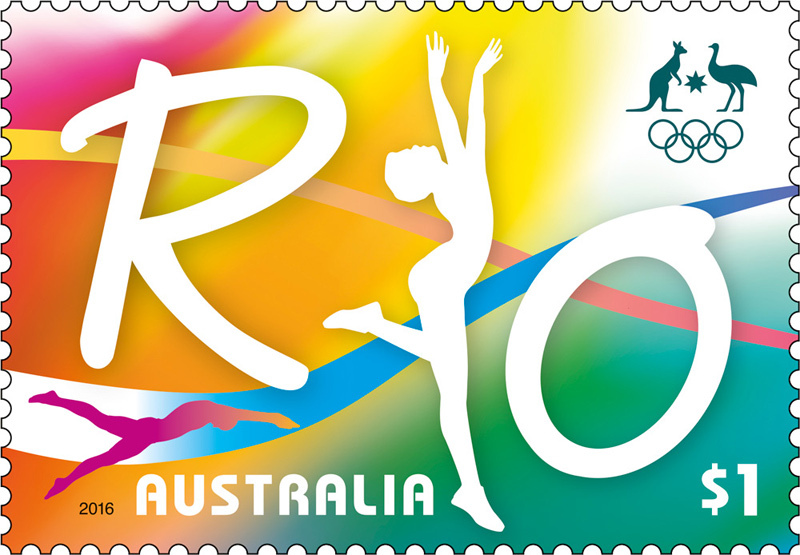 Australia will send a team of around 400 elite athletes to compete in most of the 28 sports that have a place on this year’s Olympic calendar. They will be supported by a team of 350. 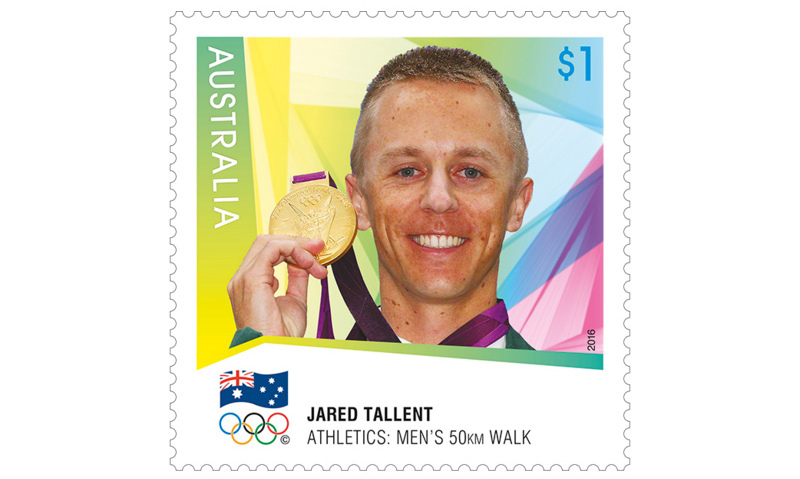 Predictions have it that our athletes may well double the number of gold medals Australia earned in London in 2012.